During 1963 after attending the University of Miami, Ingles markets first opened in Asheville North Carolina by a man named Robert Ingle. Before the opening of the first Ingles Supermarket, Robert was part of a third generation grocery family. The family store he worked in with his family closed in 1956. Ingles supermarkets quickly expanded as Robert Ingle had the idea to invest real estate in small towns and communities in the area. From that strategic choice, Ingles supermarkets soon found success. 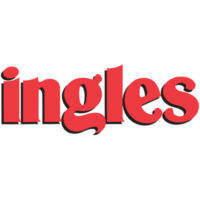 Today, Ingles markets have around 200 stores in locations presiding in the southeastern states and reach annual sales close to $4 billion dollars. The company has a very strong focus on helping the community since their inception in 1963. The business focuses on community issues such as education for children, eliminating hunger, and trying to fulfill any needs the community may have. Some of these programs the company has participated in are the food for thought program, toys for tots, and tools for schools. The environment is a central focus of Ingles markets as well. Steps are taken by the company to ensure that their stores, warehouse, and products are environmentally friendly. For example, Ingles uses LED or light emitting diodes in glass doors and meat cases to save a minimum of 55% in energy. The heating and cooling of their stores are also controlled by energy management computer systems to adjust temperature accordingly. Energy concerns are not the only concerns for the company. Moreover, Ingle is focused on the humane treatment of their animals. They believe all animals should be raised, moved and processed in a way that is devoid of cruelty. The company has adopted the animal welfare guidelines of the Food Marketing Institute to ensure this. The institute is an organization that preforms industry relation programs for food retailers and wholesalers. There are many Ingles careers at the corporate level that tailor to individual’s skillset. Careers that are available at Ingles are in work areas such as accounting, administrative office, advertising/marketing, human resources, information technology, maintenance, real estate, and security/loss prevention. These jobs ensure the success of a corporation of the company as a whole. Careers at the store level play an integral role in making sure that the store is running properly for customers. There are more careers available at Ingles than a usual run of the mill supermarket. Careers at the store level include but are not limited to being a, floral clerk, grocery manager, meat associate, pharmacist, baker, and bookkeeper. Ingle’s offers benefits for both full time and part time associates. Benefits for full time employees include vacation pay, bereavement pay, company paid life insurance and dental. Benefits available for all associates are, scholarship programs, disability insurance, and critical illness coverage. Ingles careers give many opportunities for their associates who work hard, as the community is the focus of ingles; their associates are part of the Ingles community. How old do you have to be to work at Ingles? When filling out an Ingles application an individual must be at least 18 to be considered for employment. If an individual is under the age of 18 they must have a valid work permit to work at Ingles as a minor. At the corporate level most jobs require an applicant be at least 18 with a college degree at the time of employment. Pay close attention to the job description and requirements. The store has operation hours usually between 7am to 11pm; check your local listings for store hours. Store hours may vary depending on the local area an Ingles store may be located. Bakery Clerk – If you love baking then this Ingles job is perfect. Clerks work under the supervision of the bakery manager to complete the tasks of the day. These individuals also ensure products are fresh and report any spoilage that may occur to the bakery manager. Clerks typically make $10.00/hr. Staff Pharmacist – The typical day of a staff pharmacist includes compounding and dispensing medications. This requires the pharmacist is able to have a high attention to detail and organizational skills. Staff pharmacists may be responsible for other pharmacy personnel and must sometimes preform duties under the supervision of a licensed pharmacist. A staff pharmacist makes around $45.00/hr or a salary of around $70,000 dollars annually. Meat Cutter – Basically, the meat cutter cuts meat. If you would like to use equipment in a precise and exact manner then this is the Ingles job for you. Cutters are responsible for the breaking down and cutting of meats. After breaking down, associates are responsible for properly putting meats on display or placing the meat in refrigerated storage. Meat cutters make an average of $11.00 an hour. Why do you feel than Ingles Markets is a good place for you? Talk about your previous work experience in markets if you have any. Ingles markets are unlike typical supermarkets such as Wal-Mart. Talk about how you are attracted to the family and community oriented market rather than mass-producing chains. This will show your inherent interest in the business itself and will make you look more appealing as a potential employee. Do you have any experience dealing with food? Again, talking about previous work experience that may be related is incredibly helpful. If you possess no previous job skill, explain how you deal with food on a everyday basis. Talk about this topic in a relatable way such as how an individual may prepare meat, or basic kitchen skills. This kind of response will be incredibly useful especially when seeking a job as a meat cutter or baker. Do you have good organizational skills? Organization is key in a market. An employee is expected to know where things are located in the store and in the specific isles. This is to provide sufficient customer service when a customer is looking for a specific item. Talk about things you may do that are organizational in nature, such as keeping an agenda or actions you may do to help memorize things. It may also help if you are bringing a resume to keep it in a nice folder. This shows organization without having to say anything. Where do you see yourself at Ingles markets in the future? Always answer these kinds of questions with the assumption you will be working at the position you are applying for. It shows that you have a plan and vision to guide your success at your prospective job. It shows that you may want a position of leadership or are willing to set goals and work hard for them, which will set you apart from other individuals who may be in the hiring process. If you want to know how to apply for Ingles markets online a link is provided below and will take you to find local listings for Ingles job applications online. After you have found the job you wish to apply for at Ingles markets you will find a link to a downloadable application form. It will help to save it to your computer and to also create a printable application form for Ingles markets. Other than looking for online applications to apply online for jobs at Ingles, it helps to visit the prospective place of employment to receive a free application. Since its nature is a direct application, it allows for more interaction with people you may work with and shows more initiative to interviewers or managers. Going to the employer in person before starting the application can give a head start over others who may be competing for the same position. If you lack any previous experience in the position you are applying for, try doing some research. If you are applying for a position as a meat cutter, look up certain kinds of cuts for beef, fish, and pork. If you are applying as a baker and lack experience, research how certain starches may change a particular kind of pastry. This will help enormously in giving you an edge during the interview process. Going to the store to simply watch how it operates may also help to gain insight into the job you may be preforming. It may even help find job opportunities that are not found online. Observing the job you may want beforehand does wonders for visualizing the job experience. It allows you to see how it operates apart from any research you may or may not have done.